Next week we will have a guest organist at the console of the Cassavant Freres pipe organ at Bridge St. United Church. Matthieu Latreille, one of the organists across the street at St. Thomas Anglican church will offer a "thank you" recital. He has been preparing for concerts on our musical instrument, taking advantage of the four manuals and four thousand pipes of our refurbished organ. It really is an impressive instrument which suits the magnificent space of our sanctuary well. The truth is though, many churches which have big organs are in the downtowns of cities and have dwindling congregations. Some of those churches are selling their properties to developers who don't want the musical instruments and all the space they take. But who wants a pipe organ in these days of praise bands and digital keyboards? The answer is, no one. 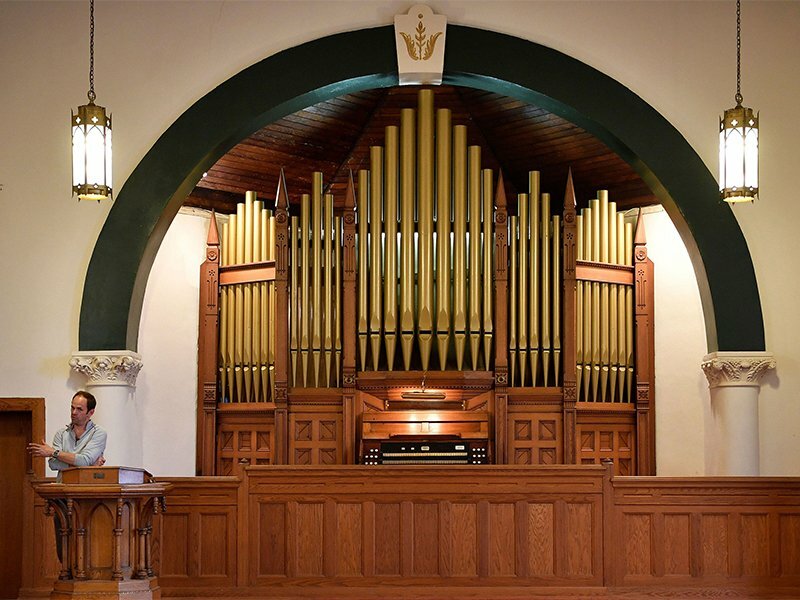 I saw an article recently about an 112-year-old pipe organ in the sanctuary of a now-closed church which needs a new home (pictured above). It is in good condition and valued at half a million dollars and is being offered for free. The problem is that this wonderful musical instrument is not unique and it would cost ten to thirty thousand dollars to remove it from the church where it currently resides. 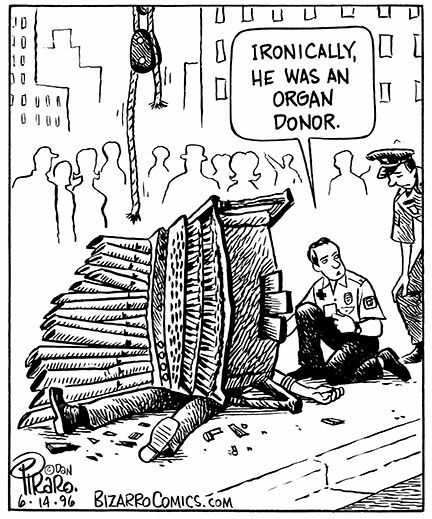 About 450 other organs are available across the USA, and demand is slight, according to Executive Director John Bishop of the Boston-based Organ Clearing House, which helps save high-quality pipe organs from abandonment or destruction. If I have 450 organs listed and I can place twenty a year, I’m doing very well,” Bishop said. I've joked through the years about Moe's New-to-You Pipe Organs, but it actually exists! Times change, and we are reminded again that our faith is about following Jesus, not our cherished bricks and mortar, nor our "holy hardware." It's hard to imagine, though, the demise of these wonderful instruments whose sonic grandeur give us a taste of the glory and holiness of God. Come to the recital next Tuesday -- it really will be good. And offer your comments about our changing times. Bridge St UC organ console.